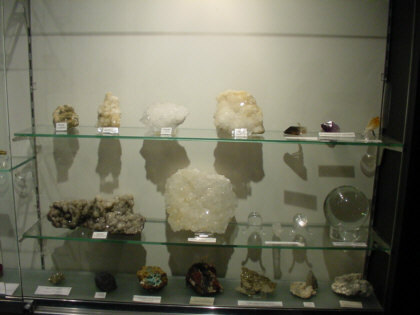 This is a picture of Scottish Gemstones and minerals taken at the Wanlockhead Lead Mining Museum, Scotland. Scotland is well known for its industrial past which was mainly Coal and Lead. However, you will see at Wanlockhead this fine collection of fine Scottish gemstones. It is also interestingly a place to find "gold in them thar hills"